Are you ready to dive into another session of Ask Scott here on The Amazing Seller? This is the place for sellers like you who are trying to build momentum on their journey to build a thriving ecommerce business. On this episode, you’ll hear from Scott as he shares some exciting news about new TAS projects he’s working on, why it’s so important to find a source of excitement and inspiration to tap into, answers to questions from TAS followers, and much more! You don’t want to miss this great opportunity to learn helpful insights and tips that could take your brand to the next level! Find a source of excitement and inspiration and use it! Let’s face it, this mission to build a sustainable business can wear you down! So what’s the answer? Do you just grind it out until you burn out? Well, there will be seasons where you will have to grind it out but what if you could find a tribe of people who help to re-energize you? Imagine how much further you could go if you had a way to fan those flames! Listen to this episode of The Amazing Seller as Scott explains how sellers like you can tap into the right voices and build a community that builds you up so you can go the distance! Why you should always drive traffic to your email list. Is it a good investment of time and resources to build up your following on channels like Instagram and Facebook or should you focus your efforts on building up an email list? On this episode of The Amazing Seller, Scott explains his thought process when it comes to building up your following. You might be surprised to hear that Scott encourages sellers to build up channels like Instagram but he says to do this in addition to building up an email list, not in place of that strategy. To get more of Scott’s insights on building up a following for your brand how to best utilize that following, make sure to listen to this episode! Is an opportunity to sell your product on Walmart worth it? While Amazon continues its dominance in the ecommerce industry, the likes of Walmart and others are trying to provide some much needed competition. The question is, should sellers take Walmart up on its offer to use their platform for sales? On this episode of The Amazing Seller, Scott shares his thoughts on this important topic. At the end of the day, Scott says that if you are invited to sell your product on Walmart and the process won’t distract or slow down any other plans for expansion like taking your brand international, you should go for it! Make sure to listen to this episode as Scott expands on this subject and much more, you don’t want to miss it! [3:00] Plans for some awesome TAS content that you need to know about. [10:30] Question #1: Would it be a good idea to drive my followers to Instagram? [18:00] Question #2: Should I list my color variations as separate listings? [21:30] Question #3: What do you think about selling on Walmart.com? …one more time here and I’ve said this before, I really enjoy doing these and after I get back from an event, which I just did it makes it even better because I talk about having that cup of coffee or that drink with whomever and we’re kind of sitting around at a table and just hanging out, talking business. I just got done doing that in person. And I did it at two different events. There was Sellers Summit that was in Fort Lauderdale and then I just got back from Resonate which is Seller Lab’s event which that was in Atlanta Georgia. And whenever I get to see people face to face and we get to connect, we get to talk stories, we get to talk about struggles and sticking points and successes and all that stuff jumping on here on a Friday and really answering your questions makes it even better for me now because I get to see you guys in person. And anyone that I have talked to in the past in person where we’ve had those conversations and we’ve had this conversation you know when I’m talking about. We get to really just talk in person and talk about where you’re at, where I’m at, like the things that I’ve struggled with, the things that you’ve struggled with, all of that stuff. So it just makes it even better for me so I’m fired up today because I’m kind of piggybacking off of that, that little high that I just came off of from that last event. Let me also mention that Chris Shaffer and I were in the car together for four hours each way heading to Atlanta Georgia and we recorded some “car casts” where we had a couple of mics and we just fired it up and we just started talking really about business and a lot of things that we’re taking away from these events but also where we see the future in building a brand. [00:02:04] Scott: And those are coming. Those are coming so stay tuned for those. I think you’re really going to enjoy those plus him and I came across some things in our travels and we started to describe them in trying to paint that picture of what we were seeing and some of the stuff was kind of odd to be honest with you. But that was also there because we couldn’t avoid it. It was just in our vision. It was in our travels. So you’ll definitely be able to hear that. Today though, let me tell you about a little bit of what we’re going to be talking about. Instagram vs email lists. We’re going to be talking about variations and we’re going to be talking about selling on Walmart. So that’s the three topics that we’re going to be talking about. Now, let me remind you on the show notes to this episode they can be found at theamazingseller.com/520 and then if you want to ask your own question please do. Head over to theamazingseller.com/ask and you can record a short voice message there and leave your first name please and also just your question but maybe also where you’re tuning in from. Now before we jump into that, I got a couple of things I wanted to mention here. Something I’m going to be working on moving forward here, I just actually hired someone for a day and I had them come in and talk about YouTube and talk about YouTube for The Amazing Seller channel, also our brand’s channel. Like really getting the understanding about YouTube and how it works and what we should be doing moving forward. So, he’s given me a really good plan. I’m also going to have him come on the podcast so that’s coming as well. And what I’m really going to be doing here moving forward because this is best for you is I am going to be and this maybe a little test but I’m going to do it here for probably at least a month and a half, two months is where I’m going to be jumping on every week and I’m going to be doing a new lesson, training that will only be on video and it will only be on YouTube. [00:04:04] Scott: So if you want those, I’m thinking it’s going to be on Tuesdays. So again, this is kind of I’m thinking out a loud but I’m pretty sure it’s going to be on Tuesdays. And I’m going to have you do something here as well that you can help me with this but it’s going to be me on the whiteboard going through, diagramming some stuff but I can’t necessarily do here on the podcast. We’re going to be talking more about brand building. 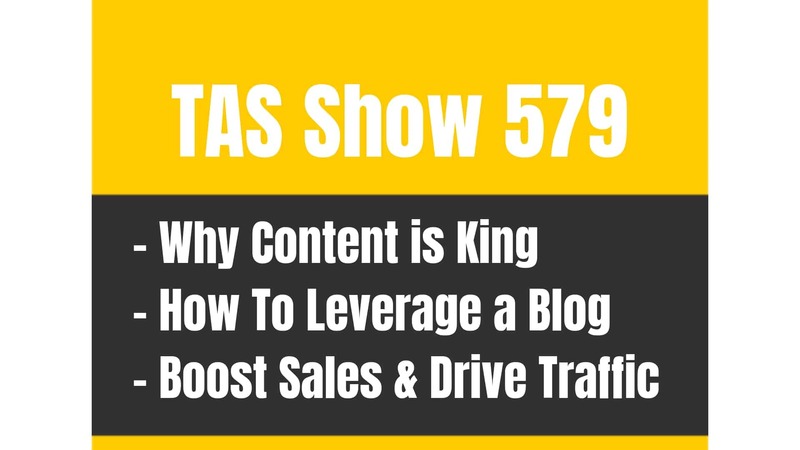 It will be email list building, funnels, it will be follow up, content, traffic. All of that stuff I’m going to be talking about. So that’s what we’re going to be doing about on those Tuesday episodes on YouTube. So you’re going to find them on YouTube. So what I want you to do is I want you to subscribe to our YouTube Channel. All you have to do is go to theamazingseller.com/youtube and subscribe there and then every Tuesday when a new one is published, you’ll be notified. Make sure you also click that little bell because that will allow you to get notified. So I also want to hear your thoughts. I want to hear what is something that you want me to create or maybe you can even talk about what you want to see in some of these videos or even for me to teach or train during these sessions. So here is what I want you to do as well. If you have any questions about brand building, anything that I just talked about whether that’s traffic, whether that’s content, whether that is building a YouTube channel whether that is doing a podcast, whether that is anything about marketing, digital marketing, any of that stuff I want these shows to be really about that. So if you have anything that you want me to teach you, all you have to is go that same link theamazingseller.com/ask. And then just ask that question or give your thoughts there and then I can create maybe some training for you and we can let everyone see it on the YouTube side of things, on that YouTube channel. So definitely do that for me. That’s what we’ve got going on here. I’m going to commit to it for at least probably 60 days. So energy and motivation. Like we all have bad days, we all feel things aren’t going well. If we have someone or something that can spike the energy or get us motivated again… I’ve had so many people come up and say, “Scott I was about to stop doing what |i was doing because I was about to give up on myself. I came back to the podcast just to tune in and you got me fired up again and I got back in. Then from there I launched a successful business.” I’ve heard that numerous times. So sometimes we just need that extra lift, that extra person that can come in there and help get you back to where you need to be to keep taking that action. So if we keep taking the action we’ve got a better chance of succeeding. We all know that. [00:08:01] Scott: So first off, find something that gets you fired up. If it’s not me find someone else. You need someone in your life that can help you get fired up. Help you get energized. You can also listen to books, use audio books or read books. Maybe you’re better at reading or you like reading better. Find people in your life or in your area that fire you up. Do you have someone that you’re around and you just feel really good? And it just feels like they have such a positive attitude or they have such a high level of energy or they are just fun? You need to get around more people like that. Now, you might not have people right now and you’re like, go try to find those people. Get yourself involved. It doesn’t have to be business related because when we have a higher level of energy and we feel more motivated we’re going to tend to stay focused and we’re also going to stay in the process and we’re not going to jump ship because something doesn’t work that day or that week or that month or that first product. And another great resource is the podcast. I really can’t like tone things down that much. Sometimes I do but really my energy is my energy. When I get excited about something, my voice seems to get louder and it’s just because I’m passionate about what I’m talking about and I know the power in it and I know that myself having more energy allows me to do bigger things and greater things which then can serve other people. So find that. Find the energy and the motivation that’s going to help you, that’s going to help you push though some of those times that you don’t feel like going to the gym. Find something or someone that’s going to help you get through those tough times or those times that you need that extra lift. So definitely do that. I’m going to be doing more on that too because it’s so important for us with mindset and our energy and all of that. I’m interested in it so what I’m going to do is I’m going to reach out to other people that can help me with that and I’ll bring them on so we can help each other through this podcast. [00:10:06] Scott: That’s what I’m also going to be doing. So anyway, that’s my spiel here for this intro of Ask Scott. And what we’re going to do now is we’re going to jump into today’s first question. So sit back or maybe stride a little less on your run or maybe stride a little more depending on what you’re doing but get ready because we’re going to go ahead and jump in. So let’s get ready to rock and roll. Let’s listen to today’s first question and I’ll give you my answer. [00:10:36] Kevin: Okay Scott, my name is Kevin from Syracuse New York. My question for you is regarding the email list. I know how hard you preach the email list and I definitely think it’s a good idea. The only thing is my niche is so heavily dominated on Instagram. So I figured instead of driving traffic through an email list I can drive them to my own Instagram account, maybe host a giveaway and say you need to be one of my followers to qualify and then kind of interact with them through Instagram rather than through email. If you have any advice on that, if it’s a good idea, bad idea, positives or negatives just let me know. Thank you for everything you do and steer on. Bye. [00:11:26] Scott: Hey Kevin, thank you so much for the question from Syracuse New York, what is up? I’ve been to Syracuse many a times and wasn’t that far from where I grew up and where I raised my family. Most of their lives so awesome. Great, let’s talk about this. Instagram vs email. Instagram is a channel, YouTube channel, Amazon channel. All of those are channels. Etsy channel, eBay channel, Wal-mart channel. Like all of those are channels. The great thing about channels is a lot of times they have traffic or they have a way for us to use the platform to gain either eyeballs or make a sale or any of that stuff. It’s great. The problem is if we put all of our effort and all of our eggs in a sense in one basket, if something happens to that channel we are in trouble. So here’s what I’d suggest. I’d think you should definitely be on Instagram and I think you should be driving traffic to Instagram and over to your email list. I think you should do both. Now, what we’ve done in the past we did it with a test case study. We did it in the sneakerhead market. I share this in our list building training. If you guys haven’t watched that, I’d definitely recommend going through that. We get a lot of great feedback on that. People have built email lists successfully going through that training. Totally free by the way, theamazingseller.com/buildlist and I’ll drop that in the show notes as well. But what we did is we found influencers in that space. And then what we did is we asked them to post. Not advertise necessarily through Instagram. We reached out to the influencer and we said, “Hey, we noticed that you have a page that has people that would be interested in what we have. Do you have any advertising?” And then they said, “Yes, we do. It’s 50 bucks,” or 100 bucks. Then what we did is created an image that showed what we had and in this case it was a give away for a pair of like Jordans or something. [00:13:42] Scott: Something like a $200, maybe it was Kobe 11’s, I don’t even know. It was one of those. So it was a sneaker that was worth over $175 and we then found a sneakerhead page and then we posted an image of the giveaway and then we said, “To enter all you have to do is go here, so it was a link that we gave them. It was actually embedded in the picture so they couldn’t click on it because with Instagram they got to go to the bio as of right now anyway. So we said, visit and then we had XYZ.com/contest. Then we also said like our page or follow us on, and then you gave like your name. And so from here what we’re doing is we’re kind of double dipping in a sense. And the crazy thing is it’s kind of a lot of steps for someone to from Instagram to your email list because what happens is number if it’s not a clickable link, if you’re not going from the bio they have to type in the address. So that’s hard for people. It’s a hoop that they have to jump through. But they did. We experienced that. So what we did is we had them do that so then we would have people go there and then it would say, “Hey, warning, you’re leaving Instagram, just want to let you know,” and then they’d leave and then they’d go over and enter their name and email address on our landing page. But the other part of that is now we said, okay go over and follow us and so then what they would do is they would go there, it would basically allow them to follow our page or our Instagram and then also click the link in our bio. So it would look like something like this, follow us at whatever your name is, and then from there they’d go to that and then they’d click the link in your bio to go to the contest. Now, it sounds like a lot but if you have something really, really good they’ll do it. And we did that, we built a list of over 6,000 emails with that first giveaway that we did just by doing that. [00:15:55] Scott: So it works. Now you don’t have to do that every time. If you just want to build up your followers on one contest or maybe one contest, I just want to build up my followers and then the next one might be I’m just going to build up my email list. So you might do two different types. One might just to build up the followers on Instagram and then the other one would be for building the email list. The other cool thing is we’re build the email list we’re also able to drop pixel on that page, on that landing page which then we can create a custom audience inside of Facebook so now we’re adding another list of them on. We can then also then now maybe drive them over to a messenger list. So I would suggest probably doing it two different ways. The first way if you want to build up your Instagram followers do the contest that like follow the page and that’s how you’d have to do it. Follow the page but the thing is if they follow the page how are you going to be able to pick the winner, there’s really no way that you’re going to do that unless you scroll through all of them and then do a randomizer tool or something like that. That’s why with Giveaway Boost we’re able to allow them to enter their email address and then they can also get additional entries when they share that contest on social. But you might want to do just one for Instagram and then the one for building your email list but as you’re building the email list you’re also going to be able to have a pixel on that page which then will start to create a custom audience. So that’s what I’d say. Look at it two different ways. You want to build up your Instagram followers because yes you have good reach there, people are following you, you’re able to keep in their feed all day, every day but then also you want them on that email list because we don’t want them on just one platform. So, hopefully that makes sense and again I would definitely suggest going through our list building training. This way here you can understand how we’ve put it all together but I would do both. I would do Instagram followers and then I would also do a contest to build up that email list and my custom audience inside of Facebook. [00:17:54] Scott: If you want to take one step further, I would also maybe do a messenger list which that is a whole other thing which we’ll be talking about here in the future so stay tuned for that. So hopefully that answered your question, let’s go ahead and listen to the next question and I’ll give you my answer. [00:18:09] Mike: Hey Scott. This is Mike from Las Vegas Nevada. Really appreciate all you do on your podcast. It’s really helped me out a ton. Quick question for you regarding colored variations. The competition that I have for a product I’m about to launch a lot of them are listing their colored variations as separate listings. A few are selling them together. I just wanted to know if you had a preference whether you should have each color option as separate listing or combine them together into one listing. I’d love to hear what you have to say. Thanks again. [00:18:39] Scott: Hey Mike thanks for the question man. I appreciate it. And yeah, this is a good one. I’ve seen this one done as well. I’m not a fan of it and here’s why. Let’s talk about variations for a second. Variations are a product that you have that is different styles, different colors, whatever. It’s different. Why would we want in colors to list a red one, a blue one, a yellow one, a green one, all separately that are independent which yes, if all of those ranked on page one that would be amazing. That’s probably not going to happen because you’re going to have one that’s going to be your driver and then the other ones are going to be on page five, six, seven whatever. So the other thing is when you’re going for reviews and you’re trying to build up your reviews they are going to be spread out amongst four different listings maybe. So I’m not a fan of doing that on colors or sizes for that matter. And I get why people do it but I don’t think it’s a great strategy personally. I think you should keep the parent and then have the variations on their different styles, patterns whatever underneath one. Now, with that being said, if you have a bundle of let’s say three, let’s say you have three different colors and then you have a bundle you could have all three in a bundle on another variation or you could have that as a separate listing. That’s where I would say would be okay. Now, we’ve recently done that and we chose to basically take the three products and then bundle them into one and then from there that’s a separate SKU. So it gives another piece of real estate. We also then can cross promote from those two listings. So we can have it in the promotions tab that says, Hey, receive 10% off another product or 15% off when you buy this one. Then that can lead them over to the bundle or the bundle to a single. I probably wouldn’t go that way, I would go from a single to a bundle. If that’s what you’re going to do, but if you’re going to be having different colors and you’re not going to have them under one listing then I would try to cross promote them. [00:20:46] Scott: So you could increase the size of the cart if someone would buy a red one, blue one and yellow one or whatever. So I would say no. I would not want to break up color variations in this case. I would want to keep them all under one so this one here we can drive all the traffic, our pay-per-click, everything to that one and then from there we can really focus on getting that to rank and then also dialing in our pay-per-click and all that stuff. If you’re bundling it, different story, that’s going to be your choice. I prefer on a bundle to keep that separate. Again, it gives me another piece of real estate, another listing. And I can also use that as a way to promote from the variations over to the bundle. Hopefully that helped you. Appreciate the question and let’s go ahead and listen to the last question of today, I’ll give you my answer, we can get this baby wrapped up and you guys can get on with your week and the weekend. [00:21:43] Shannon: Hey Scott. This is Shannon from Utah and I’m a huge fan of your show. A long time listener. I’m listening for about a year now and I really appreciate all your great tips. I’m calling because my husband and I have a brand that’s doing really well on Amazon. And we were recently invited to also sell on Walmart.com, the Wal-Mart market place. I’m curious about your opinion about Walmart.com. I’ve had some mixed reviews about selling on Walmart. And I want to know your opinion and also what you hear from other sellers about it. And also if you can recommend any resources for selling on Wal-Mart, on the web I found very little information from actual sellers about Walmart.com. Anyway, thanks for your help and keep doing what you do. Thanks, bye. [00:22:37] Scott: Hey Shannon. Thank you so much for the question and thanks so much for being a long time listener. I appreciate that. Okay, let’s jump right into it. Walmart.com. I’ve talked to a lot of different people on this to be honest with you. And the reason why you probably don’t find a lot of information out there is because the percentage of sales compared to other channels or other things that you could be doing are low, generally. I’m not going to say it’s for everyone. I know a good friend of mine bunny Thompson who actually runs a very large seven figure brand and he just actually spoke on this about selling on Wal-Mart and I believe he’s got maybe like 7% to 10% of all his sales come from Walmart. So if you were invited and if it’s not really a lot of work sure, put it on there. It’s another channel. Like why not. But if it’s going to take away from you may be working on another part of your business that can grow and scale it faster, I would pause it. I wouldn’t do it yet. I would look at other areas which there’s probably, if I was to look at your business there’s probably a lot of different areas that we can turn some dials and we can ramp things up. I would first up say okay, well if you’re thinking about going on Wal-Mart and I’m not currently selling internationally but are you selling internationally? That would be another channel that, so which one there would be better for you. Me personally I’d say well, how many products do you have? If you have more than three, I’d say are you building an email list? Are you building your sales funnel? Are you working on your own external channel? Can you come up with a free+shipping offer that can lead people over to your other products? Can you build up that asset? Because here’s the deal, if you worked on building an email list, maybe a messenger list in a custom audience in Facebook in their retargeting, and all of that stuff, if you did that you can drive so many more sales using those channels over to your Amazon listing if you want to. [00:24:55] Scott: Or you can drive them over to your own properties and you’re probably going to get a lot more bang for your buck doing that than you would just putting your product up on Wal-Mart or Sears or any of those. Now, if you have a product that would sell really well on Wal-Mart, maybe it will then maybe that answers your question. I always look at like the 80/20. It’s like if that’s not going to be something that’s going to allow you to grow and scale faster then why work on that one little thing that can bring in just a little bit. Again, depending on how much work is there. So I’m not really a fan of going on Walmart.com unless you’ve already did everything else unless again it’s super easy to do. So I think it’s really dependent on where you are and how hard it would be for you to do it and if that takes away from anything else that you could be doing that could give you more of an ROI. So hopefully that helped you and yes, I haven’t heard like anyone say, “I’m blowing it up on Walmart.com.” I haven’t heard that at all to be honest with you. So that’s my thoughts, that’s what I think and hopefully this has helped you. So guys, if you do have any questions you want me to answer on an upcoming Ask Scott session or if you want to submit maybe a YouTube training video that you want me to create, definitely head over to theamazingseller.com/ask. [00:26:59] Scott: Do it right there and I’m really looking forward to diving into this YouTube training which I’m only going to be really creating this training for my channel. It won’t be on the podcast. It will be there, it will be video and I would love to give you guys what you want and what you need so definitely use that voicemail feature so this way you and let me know and I would really love for you to do that. If you guys want to see those episodes and you want to be notified, head over to theamazingseller.com/youtube and subscribe and click that bell so that way there you get notified when I do release a new training which I’m thinking it’s going to be Tuesdays. I think that’s the day that I’m going to be doing. So anyway, go there check it out. The show notes to this episode guys can be found at theamazingseller.com/520, show notes, transcripts, links, all the goodies will be found there. All right guys. That’s it, that’s going to wrap it up. Remember as always, I’m here for you, I believe in you and I’m rooting for you. But you have to, you have to… Come on say it with me, say it loud, say it proud, “Take action.” Have an awesome, amazing day and I’ll see you right back here on the next episode.